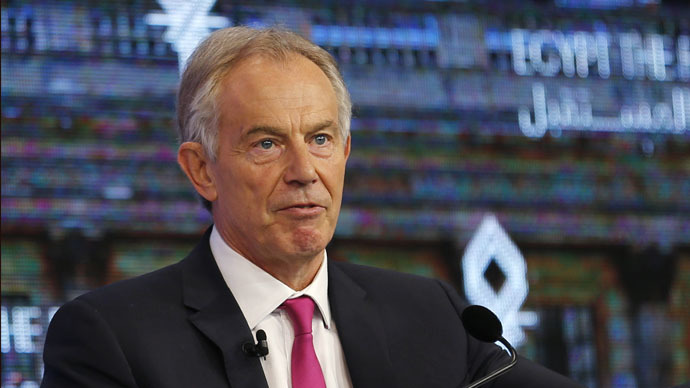 Following his decision to stand down as the Quartet’s Middle East envoy, former Prime Minister Tony Blair has announced he is taking up the position of chairman of the European Council on Tolerance and Reconciliation (ECTR). The council’s aim is to tackle prevailing anti-Semitism in European countries, ultimately making Holocaust denial a criminal offense, defining racism and anti-Semitism and paying for security at Jewish schools and synagogues. In an article in the Times, Blair and new associate Moshe Kantor warned that Europe was at a “dangerous” turning point. “We live in dangerous times. There have been three periods in the past hundred years when the annual GDP growth in Europe went below 1 percent: first in 1913, just before the First World War, second in 1938, just before the Second World War, and third in 2014. “Economic decline fuels instability,” they wrote. Their joint article refers to a recent report on anti-Semitism from the Kantor Centre at Tel Aviv University which found that 2014 saw the most anti-Semitic incidents in the past 10 years. The center recorded 766 violent anti-Semitic incidents last year, which the pair said was “one of the worst years” over the last decade. “As has been said before, but is worth repeating, prejudice and racism often starts with the softest targets, be it Jews or others, but it never ends there. Anti-Semitism is not a Jewish problem, but one infecting the whole of society and needs to be tackled for the sake of us all. “Globalization is pushing us closer together so the effects of racism and discrimination increasingly undermine the fabric of society as a whole. “Our individual success depends on that of the collective, which is why states, international organizations and other actors must join together to tackle hate and intolerance. “If we wait for our armies to act, it will be too late,” they add. The former prime minister announced his resignation from the Middle East Quartet last month, amid speculation of a deteriorating relationship with the Palestinian representative. Blair insisted, however, that he wished to remain an integral part of the Middle East peace process.